The History and Archives Committee, Columbia County Historian Mary Howell, and Town Historian Louise Kalin have assembled a collection of photographs from the history of the Town. Please click the link below for a fascinating look at Clermont's past. 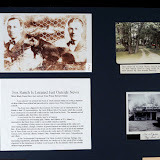 With grateful thanks to Mary Howell, Columbia County Historian, who graciously allowed the Clermont History Committee to reproduce these story boards and photographs from her private collection. These photographs will be sorted by topic, as assigned by Mary Howell on her original story boards.